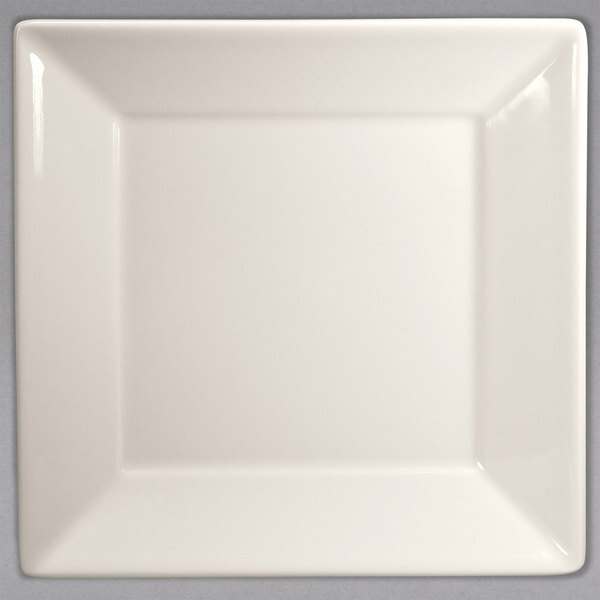 This Homer Laughlin Unique Times Square 8 1/2" square plate combines simplicity and elegance to frame culinary creations with style. Made with high-fired, lead free glazes, this creamy white / off white plate has a silky texture, yet chip-resistant durability. With smooth, rounded edges, this Homer Laughlin Times Square 8 1/2" square plate can be used to serve anything from appetizers and salads to main entrees. It's perfect for sleek restaurants or catering events. These plates are great for elegant dinner parties and they are great for weddings! 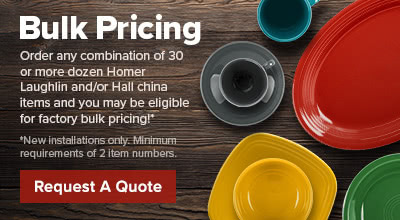 I have done numerous dinner parties with these plates and my guests love them! !